Misfit Garage’s Thomas Weeks whole life has revolved around his love for cars starting from as young as a toddler. He loves cars more than he loves his wife! What do you think? True or Not! 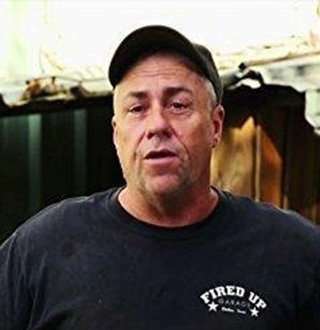 Thomas Weeks is one of the favorite faces for automobile enthusiasts of audiences who keep up with Discovery Channel’s reality show, Misfit Garage. He appears alongside co-casts, Tom Smith, Jordan Butler, and Scott MacMillan. The show first aired on TV in 2014 as a spun off from Fast N’ Loud and features Fired Up Garage- a company that Thomas formed in partnership with fellow cast mates. It is a perfect gig for someone who is as passionate about cars as Thomas Week. The American man has not provided any significant sneak peek into his personal life bio. Which is why the place and date of his origin remain confined. But based on his aging features, he must have crossed his 50s. The reality star may cloak his bio-data and family details, but the fact that he developed his love for cars from an early age remains unveiled. He got fascinated by his father who was a mechanic and a militant. He would fondly watch as his father played around with tools underneath the car hoods. He learned about his admired wheelies from his father, and he would starve himself to save the money his mother gave him for lunch to buy Hot Rod magazines, dedicated to everything about cars. Thomas’ father assisted a big deal to shape his interest in mechanics. His father gifted him a red, two-door hardtop '55 Chevy truck when he was 15. He had to get his hands dirty to own this truck by fixing its engine back to where it belonged. Hence, earning himself his first vehicle. Thomas' Dream Of Becoming Pilot At Age 16 Got Shattered! It seems obvious that the car lover would pursue a career in the auto biz straight away. But No! He wanted to level up his ride from roads to the air when he was 16. He even got his pilot’s license and wanted to complete BA in aviation and science for officer training school in hopes of joining the military. Read Also: 'Dual Surviver' Matt Graham Married & Wife | Who Is She? However, he couldn’t persist the goal after being diagnosed with legal blindness. There is nothing to remorse as he is in his ever cherished field of the automobile. And Discovery’s Misfit Garage complements his passion-driven profession very well. He makes out an average of $70,000 from the show while numbers for his net worth is not known. Thomas Weeks’ Two Decades With Wife; So Far So Good! Thomas’ love for the four wheelers is evident, but his love for his wife is not mistakable either. Twenty years into married life and he calls his wife a ‘baby girl, to this day. His impeccable love for his wife came to show when he wished her on their anniversary in November 2017. It's difficult to predict his family status, but it is a no-brainer to figure out that he is living his married life in bliss. 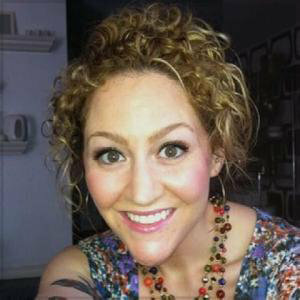 CNN Correspondent Abby Phillip Wiki: Wedding At Age 30, Who Is Husband? Ariadna Juarez Wiki: Relationship With Kid Of Age 13, Is Dating Morally Right?